Sometime words say a lot on behalf of speaking and hold different forms and formats. Definitely, you would see it in web, paper, imprinted on wireless or other digital possessions, contents have shown the true way of commerce and sets new height on the professional program. This has made specialized test across industries. People always face such type of challenges. 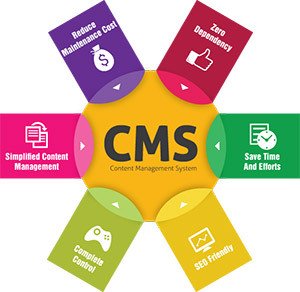 Content management systems gives users a swift approach to the detail and services they need to help them do their trade successful, make successful commerce ideas and supports their companies to become advance. Webic Studio provides you comprehensive solutions for all aspects of content management, containing website content solutions, document solutions and other. Our content management services can successfully support your firm and increase the importance of its info at least amount of charges at all points. Our content solutions contain unlimited skills, expertise and understanding. Combining our years of industry proficiency and practical skills together, we use ideas to meet the tastes of content management. Our content management team knows how to support firms to get traffic or visitors from the content. Whether you need excellent plan or you search for experts to manage the details about composite mixing projects, Webic Studio can do for you. Our writers think towards the direction of result-oriented content and for that, they do research on the internet about the particular topic that they get to define. Then they write down and bring the best content for you, similar to the standard of businesses. Our writers understand the nature of your targeted audiences, so they think and write according your customer’s mind. We are a one-stop solution for your content requirement and write almost for every possible industry. We try everything to meet your needs and provide you the best content compare to other content service providers. The content we offer is completely new, unique and plagiarism free. We assure you that the content will be genuine and justify the topic. It will be understandable, SEO-friendly and attractive to catch the reader’s mind.